If you have followed us for a while then you will know we recently moved into our new home after a disaster of a time. If your new around here he the move resulted in staying at my parents home 5 hours away for 8 weeks and losing a lot of our stuff along the way. Ask For Help- packing up a home is stressful! Especially doing it on your own - with a child of under 1 I might add :).We didn’t have anyone to ask for help and I can tell you it was so hard juggling it all between just me and Scott. Pack Each Room - this one probably seems quiet obvious , but I bet half of you reading this fail half way through!. We have all the intentions of packing a certain room together and half way through end up putting anything into the box - don’t!. Persevere, because when the time comes, unpacking will take half as much time and you will know where everything is . Take A Break - Rome wasn’t built in a day :). Burning yourself out isn’t going to do you any favours. This is something I did and I felt absolutely exhausted. Take time out for a break. The well deserved cup of coffee and sitting down for half an hour is definitely needed. Hire a removal company! - last but definitely not least! . Removal companies are a god send. We didn’t hire one the last time we moved and that resorted in taking many trips back and fourth to our old property in the car and it was an absolute nightmare!. Removal services also offer packing and unpacking as extras so it would definitely be one to look at it for a stress free house move . Hope all is getting settled now as moving in general has always been stressful. Thanks for the tips. Moving is so stressful! We moved house when my youngest was 8 weeks old and my eldest was 2 years old. It was not easy at all! Great tips! we moved when I was 8 months pregnant, with an 11 month old, a 2 year old, and a 10 year old. never again!! I think a removal services that packs too is a great idea. It really does make it less stressful. Thanks for the tips. Removal companies are so useful. I hate moving. 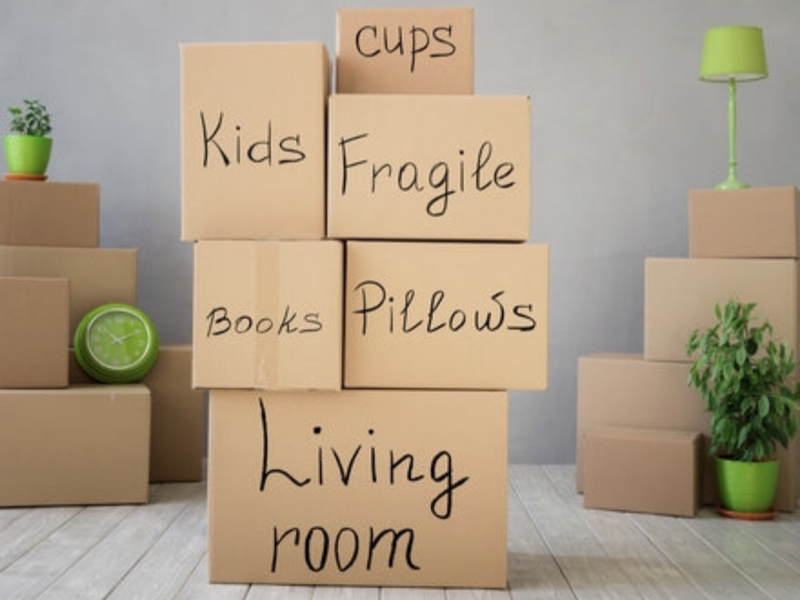 Great tips, moving house can be so stressful especially when you have kids too! We started packing stuff a few weeks in advance so it didn't feel like such a big task. The kids had a box each to pack some toys they really wanted left unpacked and we packed up the rest beforehand! The last two times we’ve moved ourselves ... never again, FAR too old for that stress! Totally agree with everything you've said here. We moved with a new baby during half term and it was a nightmare trying to keep two kids happy whilst doing everything that needed to be done! We've moved a few times in the past with two moves to different countries under our belts now. We once moved ourselves and swore never again so always use removals companies. It's much less stressful! It's so stressful isn't it?! We would def use a removal company next time!